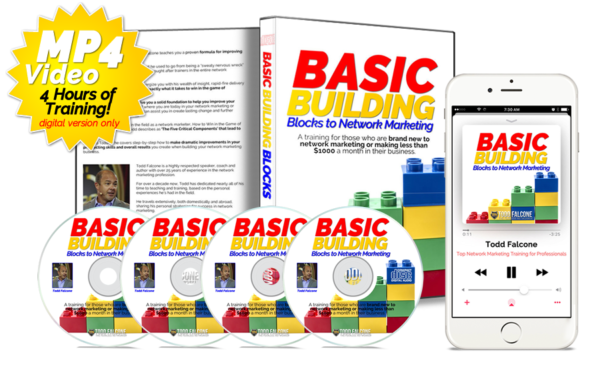 Basic Building Blocks to Network Marketing Success is a 4-Hour video webinar series that focuses on Seven Key Points to help you get into profit fast in your network marketing business. How to Develop a Success Consciousness. You’ve heard that Mindset is important. But…the question remains, “How does one go about actually adopting and creating one?” And…how in the world do you stay there? In this series, you’ll learn how to control what you think about and how you think, so that you can make a greater impact when you’re doing your business. How to Develop your Confidence. Fearful, timid people tend to not do so well in this business. You need to work on your confidence…and there are specific things you can be doing to build up your confidence, so you feel better going about building your business. How to Set up Your Business. What do you need to be successful? What’s your office look like? If you’re going to run a successful business, you have to run it like a successful business. In this section, you’ll learn about the most important tools you need, how to use them, as well as making sure you’re set up properly when it comes to record keeping. How to Be Better at List Building. You heard me say in the video that your list is your business. In this section of the webinar series, I’ll be giving you all sorts of great ideas to grow your list, nurture it, and produce more revenue from it. 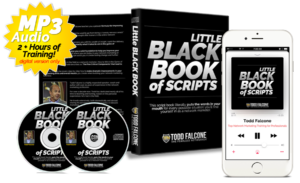 In fact…you will learn how to never run out of people to talk to ever again, and not even have to pay for prospects if you don’t want to! How to Simplify the Prospecting Process. This section is going to make it really, really easy for you when it comes to your recruiting and prospecting. Why? Because the approaches that I teach are ridiculously easy to remember and duplicate throughout your organization. You won’t have to remember a bunch of stuff…just follow these simple approaches. How to Recruit the RIGHT WAY in Social Media. Yes, there is a right way. And…you don’t want to be “that person”. What I will teach you in this section will have you feeling super comfortable recruiting people off your Facebook or LinkedIn page…and never alienate a soul. How to Be a Better Team Builder. In the final section of this course, I’ll be sharing with you exactly how to go about building your team. It’s more than simply signing someone up and hoping they will do something. You get to take control of your group and how it grows. Again…this course is designed for newer people or those making less than $1000 a month, or brand new to this profession. If you fit into that category, then Basic Building Blocks to Success in Network Marketing is for you!